Sales of credit card PPI have been massive over the last decade and more. Figures from a survey conducted by Which? magazine suggest that more than 1.3 million people took out PPI with their card after being mis-led by sales staff. Sold properly, payment protection insurance will ensure that your card payments are met if you have to come out of work through accident, sickness or unemployment. But, all too often, the insurance was mis-sold to people who didn’t want it, didn’t need it or could never have used it. Credit card PPI was mis-sold on an industrial scale by lenders between 1988 and June 2011. In fact, the sheer scale of the whole episode has made PPI mis-selling the biggest scandal in UK financial history, according to Which? magazine. Did the advisor suggest you take out PPI when you were a student, retired or unemployed? You could have been mis-sold the policy, as you may not ever have been able to claim on it if you needed to. Did you already have your own existing insurance in place? Then you didn’t need a new policy. Did you feel pressurised to take the insurance to make sure you got the credit card? PPI is always optional and should not be made a condition of obtaining another service. The PPI advice given on sale of the policy should have included a full price breakdown, separate to the costs associated with the card. You shouldn’t have needed the insurance if your employer gave you full sick pay because you should never have had trouble making your payments. Were the exclusions associated with the card insurance explained to you? For example, you should have been made aware that the policy may not pay out if you had a pre-existing medical condition. Finally, were you even aware that PPI was attached to your credit card? Policies were often added by sales staff without even advising the client they had done so. If you have it and didn’t ask for it, you may have been mis-sold. Gladstone Brookes offer a Free PPI Check** to start your PPI process; this aims to identify any PPI you were sold by your lenders in the past. If PPI was or may have been present, you can then proceed with the PPI Claim service, which aims to recover any PPI you may rightfully be owed by your lenders. We aim to recover any premiums you have paid, plus any interest on those premiums and where possible a further 8% in statutory interest. Should we be successful in recovering any refunds for you through our PPI Claim service, our fees are 20% + VAT (so 24%° of the total redress offered by your lender). If we are not successful, there will be no charge. Gladstone Brookes have conducted thousands of successful PPI claims, recovering more than £1 Billion for our clients so far (total refunds obtained through our claims service, amount is prior to fees and taxes). If you think we can help you then please complete our PPI check form or call us now on 0800 862 0375 and one of our friendly, knowledgeable advisors will be happy to help you. Total refunds obtained through our claims service, amount is prior to fees and taxes. Our success rate for PPI claims with clients currently stands at 91%, based on 30 months’ worth of data from July 2016 to December 2018. Success rate applies only on cases with PPI. 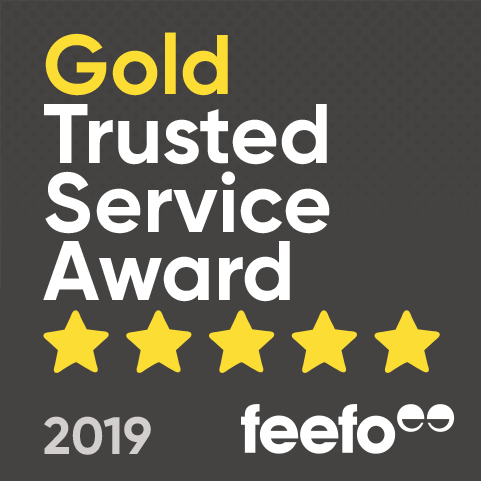 Our customers rate our PPI Claim service at 4.5 out of 5 stars on Feefo, based on 4,819 reviews between July 2017 and June 2018.